This english beer is a tribute to the first 13 british colonies that gave birth to the United States of America. 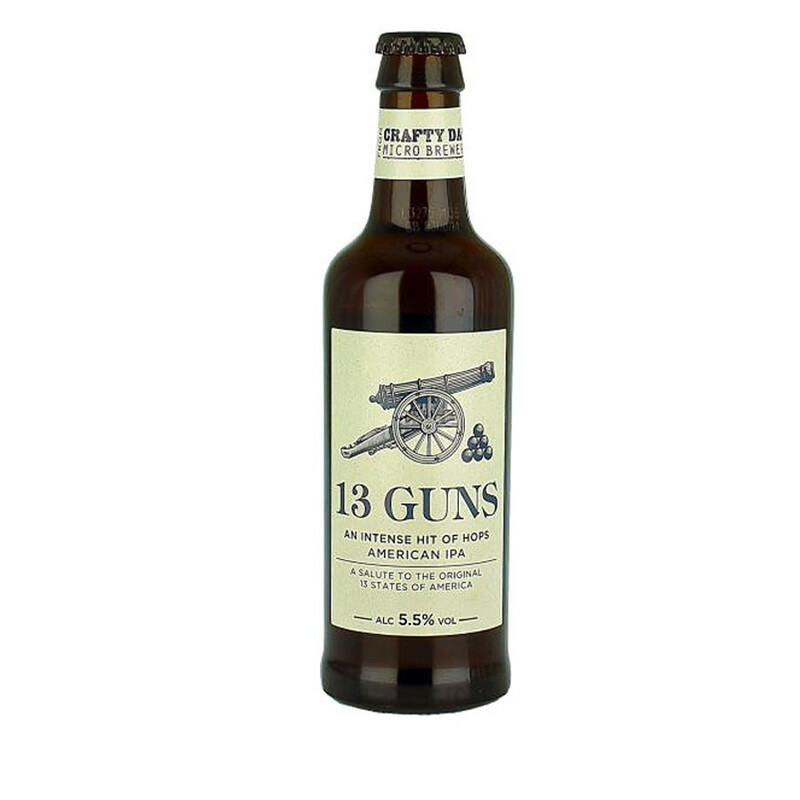 This English beer is a tribute to the first 13 British colonies that gave birth to the United States of America. Thwaites brewery is located in Lancashire and made this beer for 4th of july, America's national holiday. This IPA amber beer matches perfectly spicy meals with curry. According to GBBF 2013 (Great British Beer Festival), the 13 guns beer is one of the 1001 beers you must taste before you die.